I hope you had a great beginning of the week. It's important how we start our day and we shouldn't skip breakfast. In my family everyone always says "Eat Breakfast like a King, Lunch like a Prince, and Dinner like a Pauper". Even tho I leave home before 6am most of the days and don't get to have a breakfast there I always grab something to eat on the way to uni. 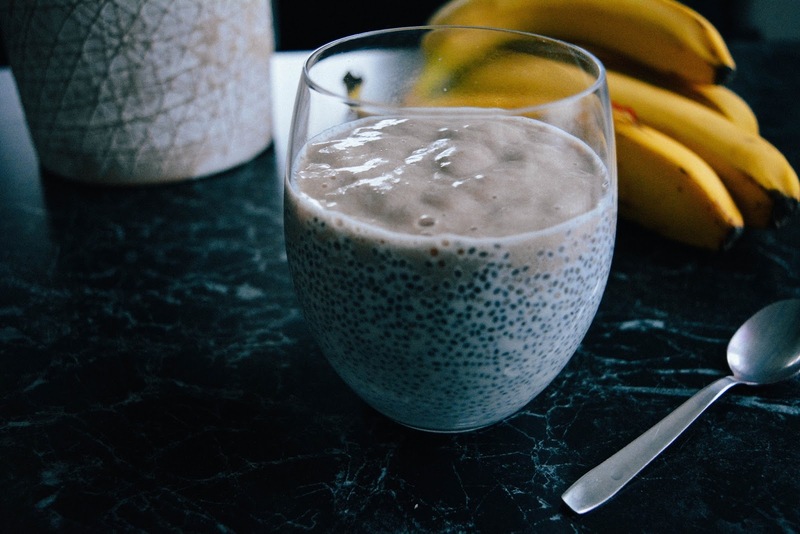 When I have time, or am at home I love making chia seed pudding. 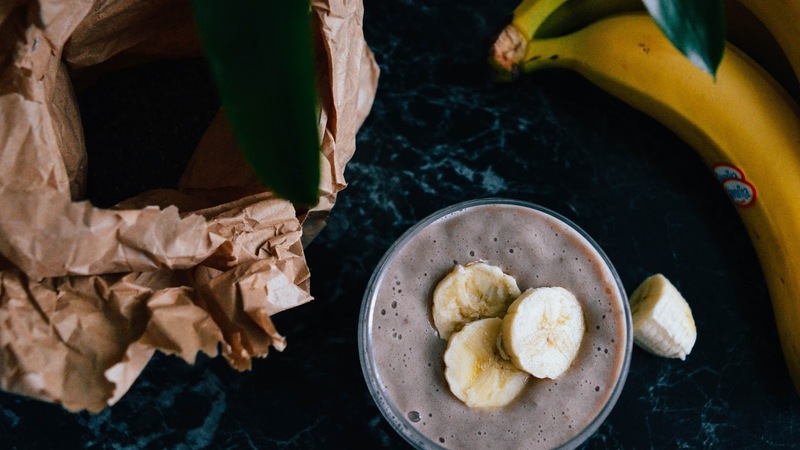 It's fast, easy, nutritious and delicious. It's a healthy sweet treat that each of us can have and not feel guilty afterwards. I'm also thinking about getting a small jar with a vacuum lid so I could have it even on those days when I'm in a rush . The recipe can be easily amended to your preferences. Warm up the milk. 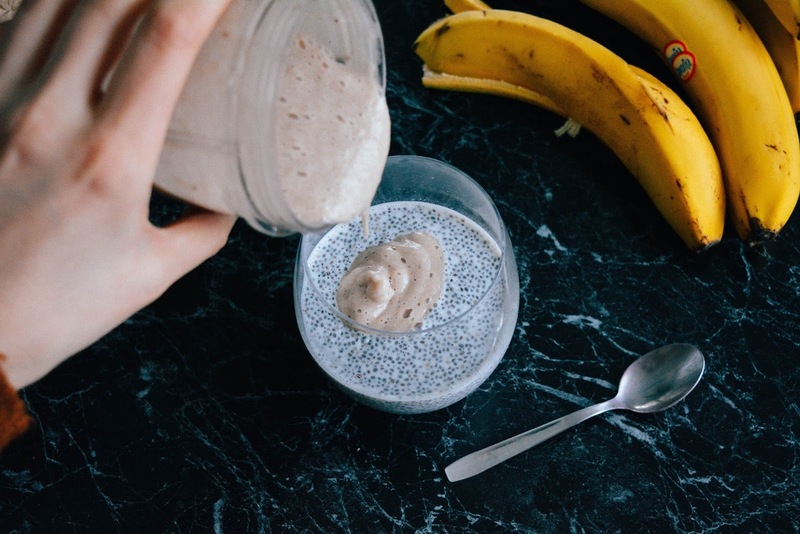 While it's warming up put 2 tablespoons of chia seeds in a cup/bowl and 3/4 of the banana in the cup of your blender. 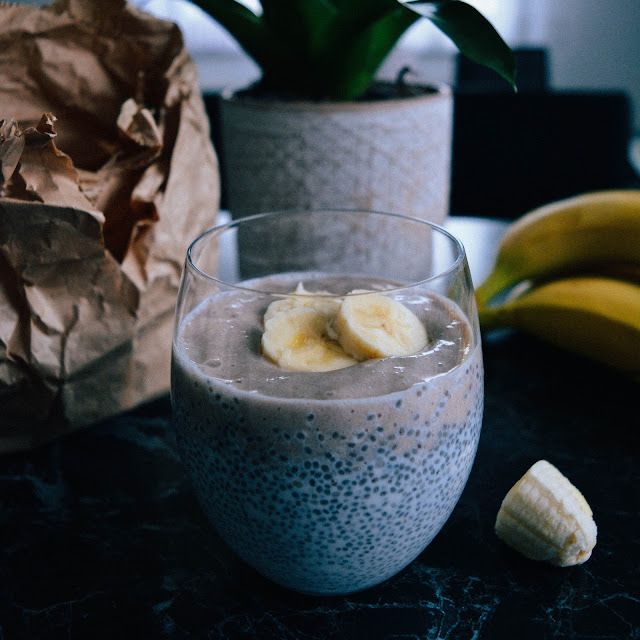 Pour two fingers (height) of milk in the banana and the rest over chia seeds to soak it in and stir it with a spoon so the seeds don't stick to the bottom or sides. 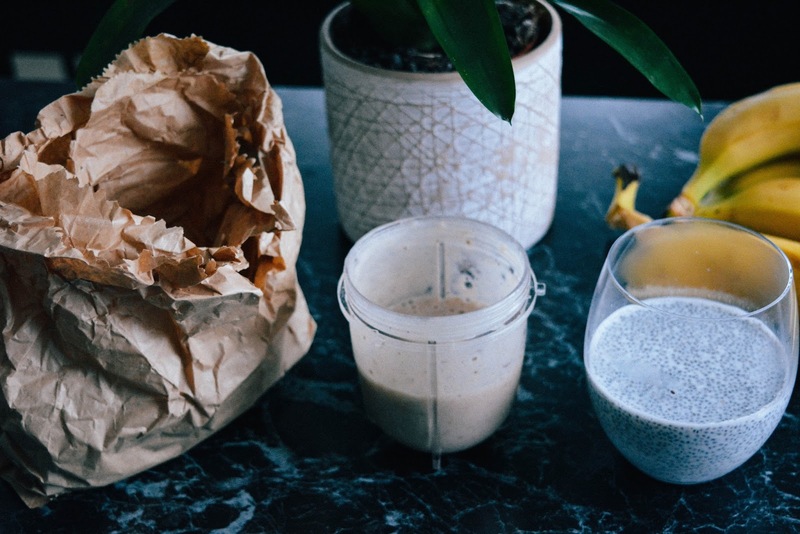 Blend the banana+milk, it has to be creamy and fluffy. Wait a bit till the seeds swell, stir them to check that they don't stick in clusters. Pour the banana cream in slowly, it may seem like it will mix but it won't much cos the seeds are compact. At the end cut the leftover banana and put on top. Bon appetit! 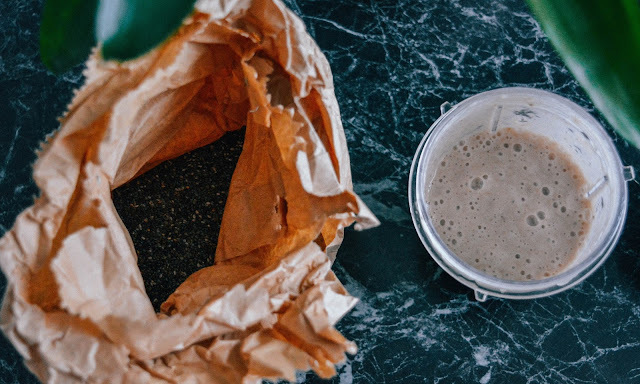 The seeds don't really have a taste of it's own so anything you put with them will do. 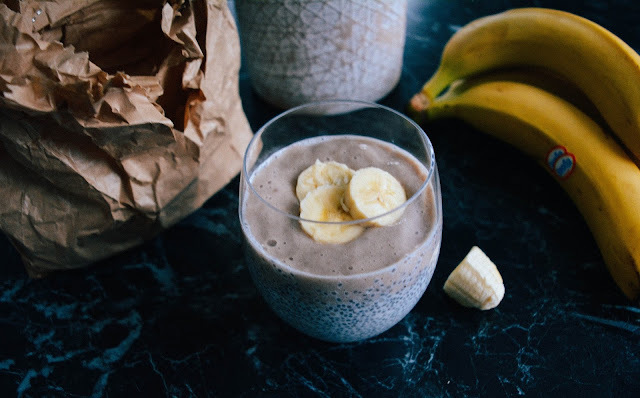 Banana gives it the sweetness and flavor. I would like to hear how you like it or see a photo of your creation. You can tag me in your photos on Instagram or share them with me via twitter! It can be combined with so many things that it can feel like something new every time we have it. Thank you dear. It was like any other day to me - spent it at home and outside with little sister. I hope you had a great time! Haha yeah that could make you want some midnight snack. Try to eat breakfast as much as possible, it gives you the energy to start the day and this kind of nutritious fast meals are the best!